Unemployment across the 17 eurozone states hit an all-time high in May. Consumer price inflation rose for a second month in a row, with the spectre of deflation in recession hit Europe in the wings, according to the latest EU figures. 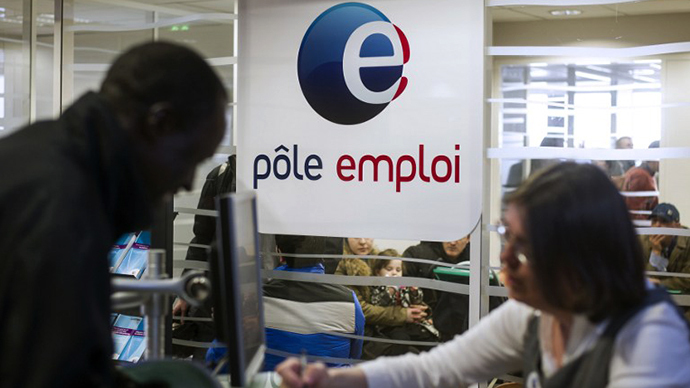 Unemployment rose 0.1 percentage point in May, just slightly above the revised figure of 12.0 percent for April, but marginally below the original 12.2 percent, Eurostat said on Monday. 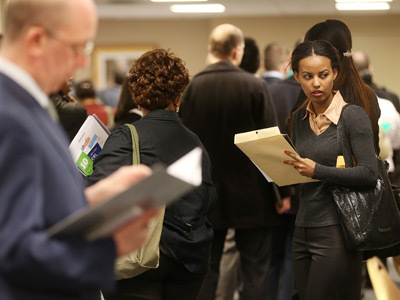 Economists polled by Reuters estimated an even gloomier forecast, expecting joblessness to reach 12.3 percent in May. 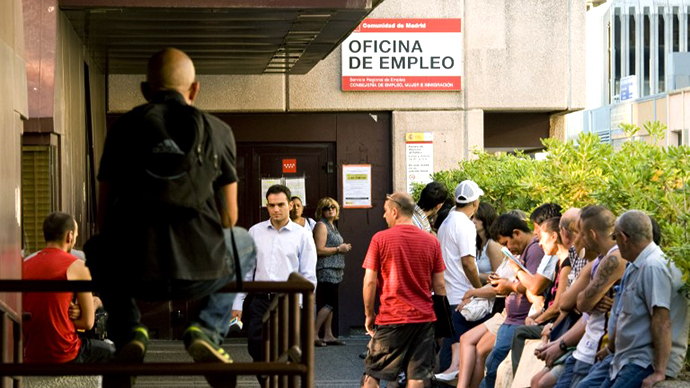 Across the currency union, 19.22 million people were unemployed, up 67,000 over the previous month. 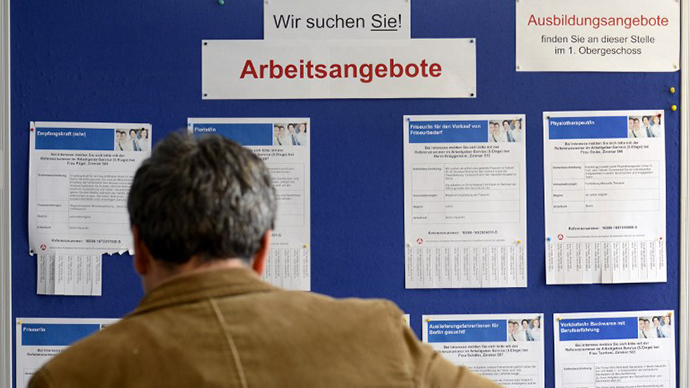 Germany, the bloc’s largest economy, saw its unemployment rate fall to 5.3 percent during that period, while unemployment in France, the area’s second largest economy, remained unchanged. Italian unemployment breached the median mark of 12.1 percent, hitting 12.2 percent according to preliminary data from the Rome-based national statistics office Istat. 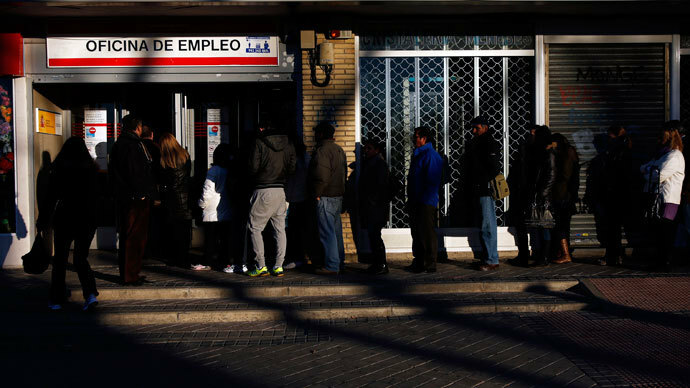 Spain, which is grappling with a youth unemployment epidemic which has surged to 56.5 percent, saw overall unemployment inch upwards to 26.9 per cent – the highest rate in the eurozone. Cyprus saw unemployment increase to 16.3 percent versus 15.8 per cent previously, while Greece, which is measured on a different time frame, registered a jobless rate of 26.8 percent in March. While the region remains mired in its longest recession, the record unemployment figures comes as consumer price inflation increased to 1.6 percent year-on-year in June from 1.4 per cent in May. Food, alcohol and tobacco prices were the primary products ramping up inflation, followed by energy and services, Eurostat said in its flash report. The second month of gains follow a low of 1.2 per cent in April, although the June reading still falls far short of the European Central Bank's (ECB) target of just below 2 per cent. The relative cost of living increase come amidst a historically lower consumer price index, with the mild gains potentially staving off fears of deflation. The ECB is set to meet on Thursday to decide upon further measures to bolster the eurozone’s economy and steer the area towards a gradual recovery, which is expected to begin in the second half of the year. Last week, European leader’s vowed to direct more money towards youth employment and small business, as the overall EU unemployment rate remains unchanged at 10.9 percent.